On Saturday evening March 10 I'll be celebrating the release of my new CD The Quiet Places with a concert at Amazing Things Arts Center, 160 Hollis St., Framingham. I'll have a full band of guests from the CD including Rebecca Lynch, Deede Bergeron, Bob Vivona, John Coffey, and Brice Buchanan and Barry Singer from my '80s band Loose Ties. Also performing will be Mark Stepakoff, who has a new CD as well. The concert starts at 8 PM, and you can get tix here. The CD's already been played across the US and Canada, with the lead track "Enjoy It While It Lasts" reaching #8 on the national Folk-DJ airplay chart. 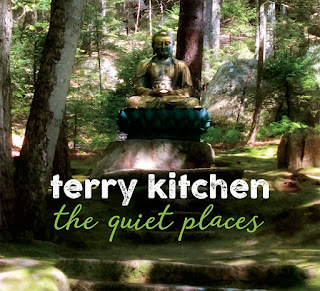 The Quiet Places is available at www.terrykitchen.com, iTunes and Spotify and copies will be available at the show. Amazing Things is a great listening room, with free parking, a great sound system, snacks, and even an art gallery. It should be a great, one-of-a-kind evening so I hope you can make it!